Results for - Shaving legs? A 24-year-old student is being attacked online for sharing photos of her unshaven legs. The student says that she has not shaved since last November and has no problem with it. Many trolls responded by stating that they would break up with their girlfriend if they stopped shaving. Others have even stated that she is horrible and disgusting. 1. Are you familiar with this viral post? 2. Do you think hairy legs on women is unappealing? 3. If you are a woman do you shave your legs? 4. Do you think shaving is a construct that has been created by society? 5. 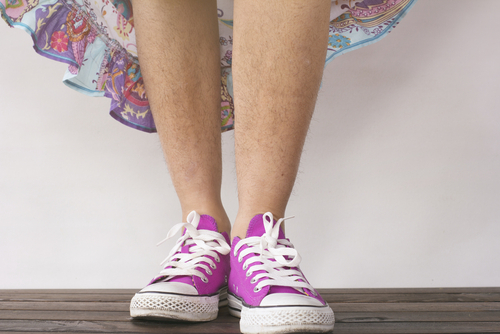 If you were wearing a dress or skirt, would you feel comfortable going out in public without shaving your legs? 6. Men, would you date a woman that doesn't shave her legs?